Now, more than ever, we're faced with an immense pressure to find 'the one'. No, we're not talking about your soul mate. We're talking about your career. Finding 'the one' career has become the primary pursuit of most professionals these days. In this pursuit, the end goal is to find a career that does it all. A career that fills your soul with passionate fulfillment AND fills your bank account with a solid paycheck. On top of that, most professionals also want to work for a company that promises the perks like vacation, health benefits, and a flexible schedule. The seemingly endless search to find 'the one' career leaves most people feeling frustrated, stressed, and, ultimately, wondering what's wrong with them because they see other people fulfilled in lucrative careers but they can't seem to connect the dots in their own lives. If you're stuck in the trenches of your own career conundrum, we invite you to join us at our next event – Event Title on Tuesday, March 7, 2017 from 6-8pm at Hera Hub DC (5028 Wisconsin Ave NW #100, Washington, DC 20016). Just a 4 minute walk from both Tenleytown/AU and Friendship Heights Metro stations, or lots of street parking. Whether you're thinking about a career change or you're generally happy at work but feel like you've lost your motivation, this workshop is for you! Certified Professional Coach, PSU Alum, and past PSPWN DC Board Member, Shannon Egan, will teach us a powerful framework for leveraging our mindset to uncover what's really causing us to feel misaligned in our career paths. Early bird tickets are on sale now ($15 for members*/ $35 for non-members) through February 11th. Your ticket includes wine and refreshments. Don’t wait – this event will sell out! 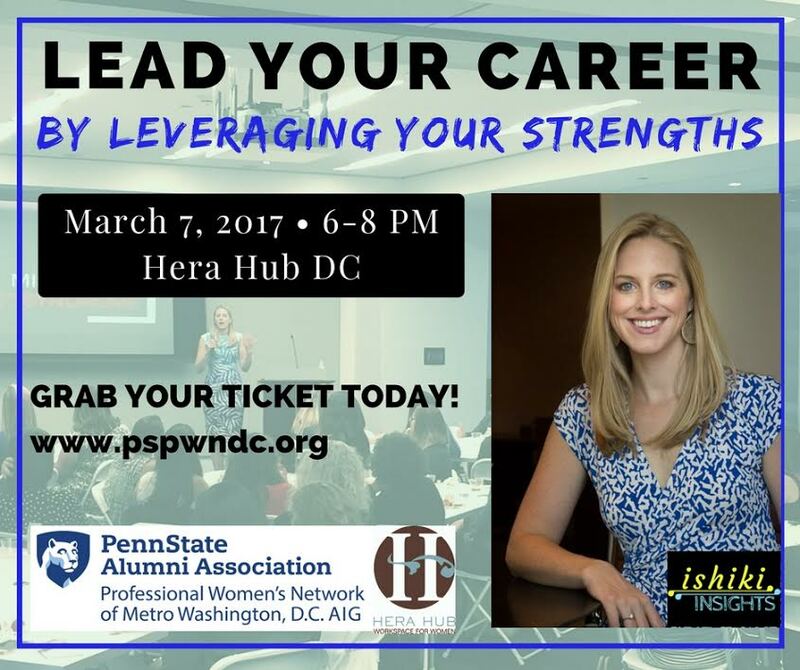 * Non-Members can purchase a $25 annual membership to either PSPWN DC or PSU Metro Washington DC Alumni Chapter at time of purchase to receive Member ticket pricing for this event.